Although it’s hard to believe, Barcelona still has places where you can escape the crowds while enjoying places that exude beauty, history … and tranquility. Yes, that’s right: it is possible to admire streets and buildings without other visitors around in the Catalan capital. The secret? Get away from the center, get on the Barcelona metro and prepare to discover old villas, parishes and monuments capable of making the traveler fall in love. It has been difficult to create this list, as the options are almost endless. However, we have chosen those secret places to go in Barcelona that, due to their uniqueness and attractiveness, will leave you in awe. 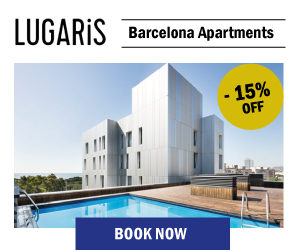 You will not find a better way to make the most of your stay in our Barccelona apartments next to the beach! 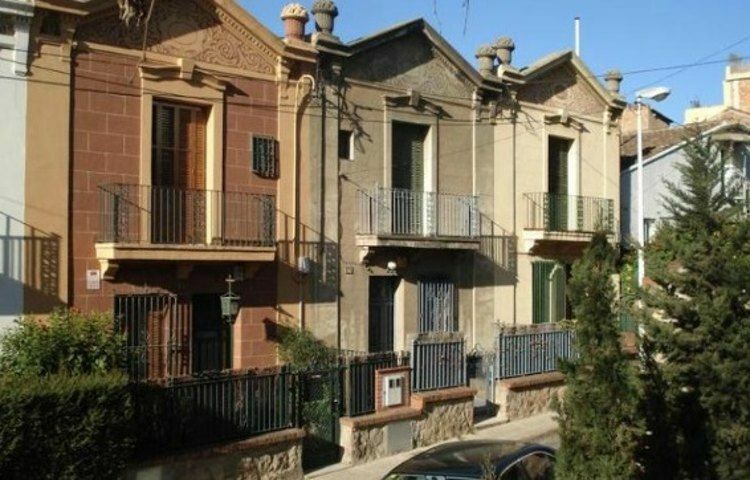 The neighborhood of Vilapicina and Torre Llobeta, in the district of Nou Barris, hides a small jewel that will make you travel back in time. 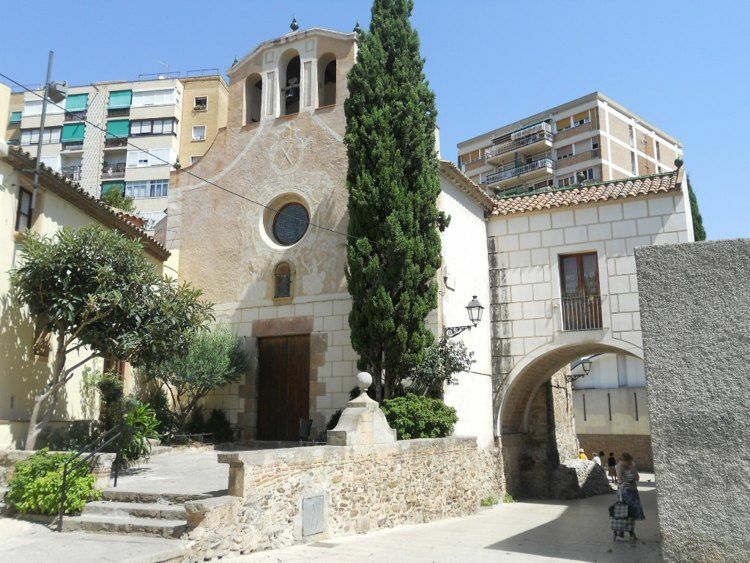 It is the church of Santa Eulàlia de Vilapicina, which was built in 1782 and has been documented since 991. 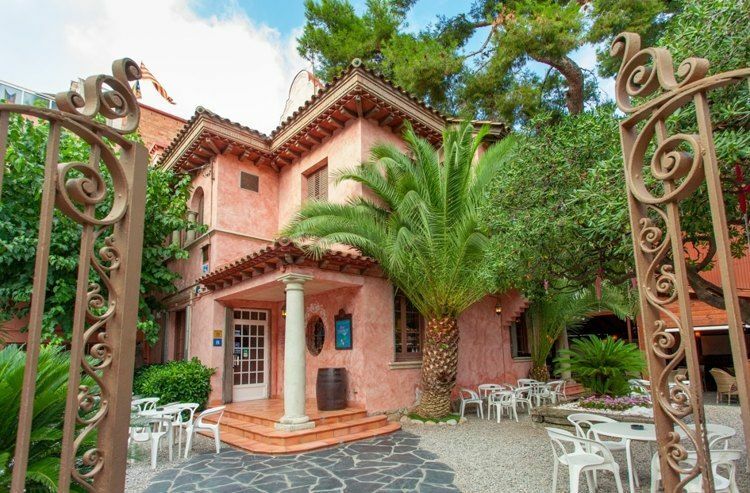 This interesting construction, which is located next to an imposing arch, was declared a Historic Site in 1971 and cataloged as a cultural asset of local interest, along with the farmhouse of Can Basté -that now houses a civic center-, the old hostel of Ca n’Artès and two picturesque townhouses. Inside the church,you will find the Capella de l’Altíssim which has withstood the passage of time and is located inside the late Romanesque church. After years of neglect, a group of seminarians promoted the restoration of the complex at the end of the 1960s. The works, completed in 2004, served to recover the bell tower and the central nave, which had collapsed. To get there, go to the Virrei Amat subway stop (line 5). Located in the neighborhood of Congrés and els Indians, in the district of Sant Andreu, this spectacular cocktail bar -considered as one of the best in Barcelona- opens its doors at Villa Jazmines (1920), an imposing Indian house designed by the architect Ferran Tarragó and owned by José Racionero, who lived there until the 1950s. Since then, it has also housed the Practical Academy of Commerce and became a private nursery school until the mid-eighties. Since 1987, it has accommodated a pleasant cocktail bar with a terrace, where you can sip on delicious gin and tonics in the shade of almost century-old trees that turn it into one of the most charming secret places to go in Barcelona. The closest metro stop is Congrés (L-5), although you can also get there with buses 19, 45, 47 and 50 and night buses N1, N4 and N6. If you want to know what life was like during the past century in the city, you can not miss out on the street of Aiguafreda, a unique space in the neighborhood of Horta that seems to have stopped in time. Its most representative element is the presence of orchards, water wells and public laundries in front of each house. Although these constructions are popularly known as the laundry women’s houses, the truth is that the women who worked there professionally did not live in the area, but this job was performed by the housewives of the neighborhood. There is documented proof that, from the beginning of the seventeenth century until well into the twentieth century, many of the clothes of well-to-do people in Barcelona were washed in Horta, whose laundry women picked up dirty clothes on Mondays and returned them clean on Saturdays. The closest metro stop is Horta (L-5). We are not leaving the Horta-Guinardó district yet, since this former independent town has another place that is worth visiting. We are referring to Martí-Codolar, a seventeenth-century farmhouse that accommodates an estate and a Salesian farm nowadays. Known in the past as the Granja Vella (old farmhouse), it was transformed into a noble neoclassical house at the beginning of the 19th century. In 1852, Joaquim Martí i Codolar ordered the construction of the gardens and pond. After his death, which occurred in 1865, his son created some pavilions and the first zoo in Barcelona, which was purchased by the City Council in 1892. Among its visitors were the kings Fernando VII and Alfonso XIII. The farm is located between the stops of Montbau (L-3) and Horta (L-5). Of course: before you go, contact the residence to arrange a visit. 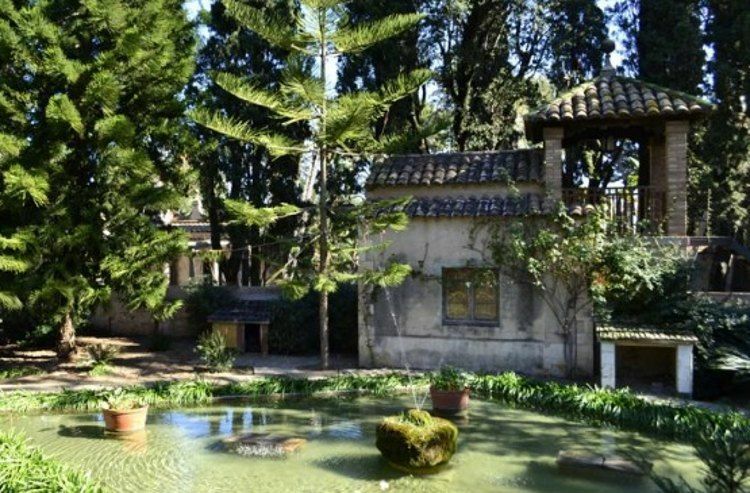 Located in the lower part of the Montjuïc mountain and next to the Gran Via de les Corts Catalanes, the Font de la Guatlla is one of the most secret places to go in Barcelona and a pretty unkown neighbourhood. Its streets are dotted with a diverse set of houses built at different times of the 20th century, and which continue to attract the visitor’s attention. 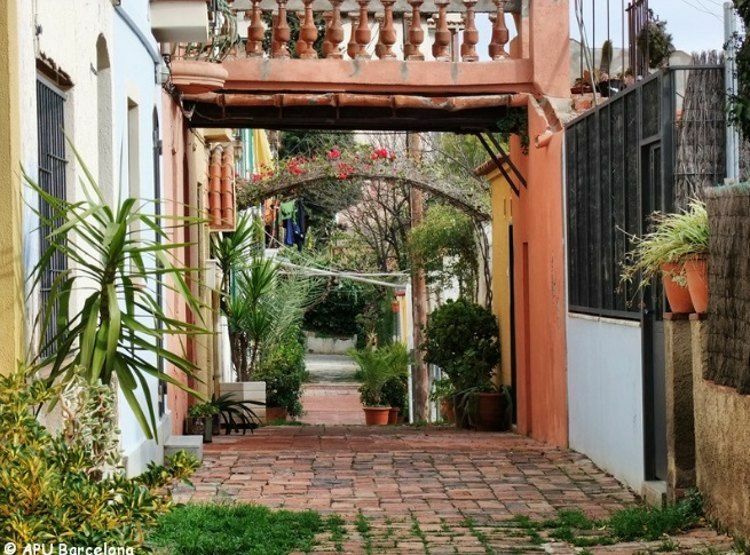 In the past, it had been a rural area near Barcelona and the old town of Sants, now a neighborhood, with some scattered farmhouses surrounded by fields. However, this changed with industrialization. One of its most special enclaves is the so-called Pas de Valls, an area formed by two rows of simple, traditional-style low houses. These were occupied in the twenties by mostly Galician workers, who came to work on the construction of the International Exposition of 1929, which was held a few meters away. Currently, the Pas de Vallas is still home to 39 families. By the way: it is an ideal place to contemplate the mountain range of Collserola in the distance. To get to the Font de la Guatlla, the most appropriate stop is Plaça Espanya (L-1 and L-3). However, you can also take buses 23, L95 and L72 if you don’t want to walk uphill. 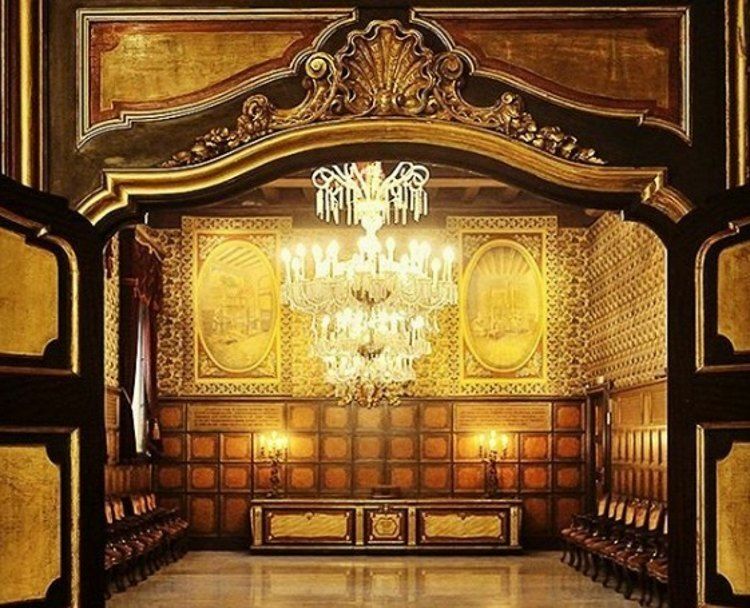 We will finalize this tour of secret places to go in Barcelona in the Casa de la Seda: a building that, despite being in the heart of the old town and next to the Gothic Quarter (or Gòtic), does not usually appear in travel guides. An authentic injustice, since this building played a fundamental role in Barcelona’s economy. In fact, on the main floor, the Barcelona Shipyard Association adopted important decisions for the Catalan textile sector more than 300 years ago. In the Sala Magna, you will discover its best kept secret, surrounded by a luxurious decoration. And if you wish, you can also sign up for a theatrical guided tour. To access this emblematic point, get off at the Jaume I metro stop (L-4), which belongs to the same line as Poblenou, the station closest to our beach apartments in Barcelona. What do you think about this alternative route around Barcelona? If you want to complete it, and acknowledge that the city is much more than the Sagrada Familia, the Ramblas or the Raval, do not hesitate to send us your suggestions: we welcome them with open arms! Yes! These places in Barcelona are indeed charming! Had not found them anywhere and it’s refreshing to get to know new places in this wonderful city. Will be visiting in spring and was already reasearching on places to go, so you can imagine how much I’m looking forward to this!